Just because you’re going camping doesn’t mean you have to sleep crammed right next to a friend. 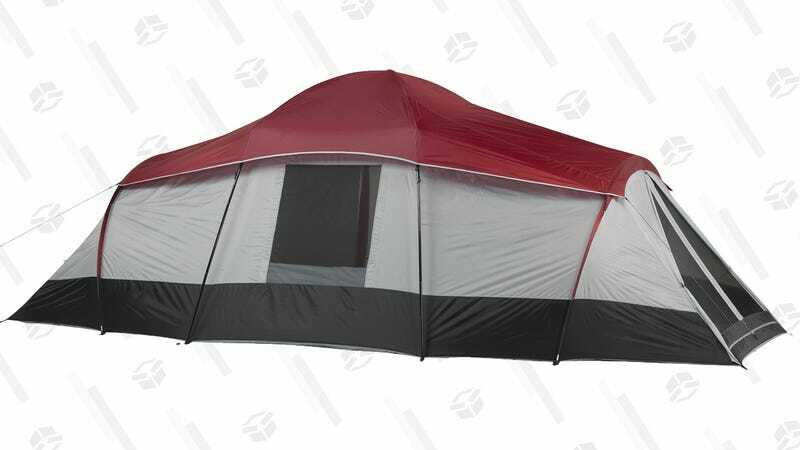 This Ozark Trail tent has three rooms, and can fit up to 10 people, or fewer people with more space to stretch out. Not bad for $95.